Welcome to my first ever car review. Yay! I’m that excited I want to start doing this on a regular basis – as a series (insert dancing gifs and monkey emojis). I’m serious – it’s so fun, thank you John Clark for the opportunity. 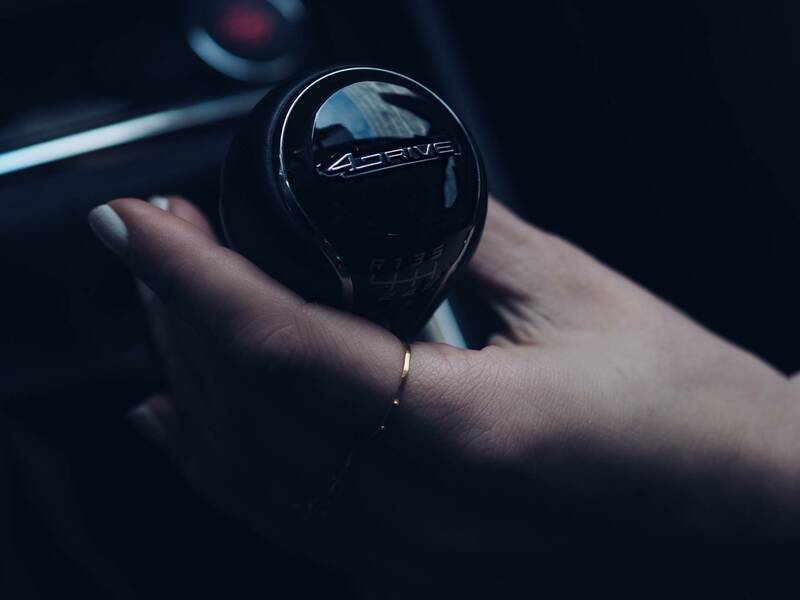 It’s no secret I love driving. I drive absolutely everywhere. To events, Edinburgh, busy Glasgow city centre (I know some people dread it), daily school runs and you know… everything else. 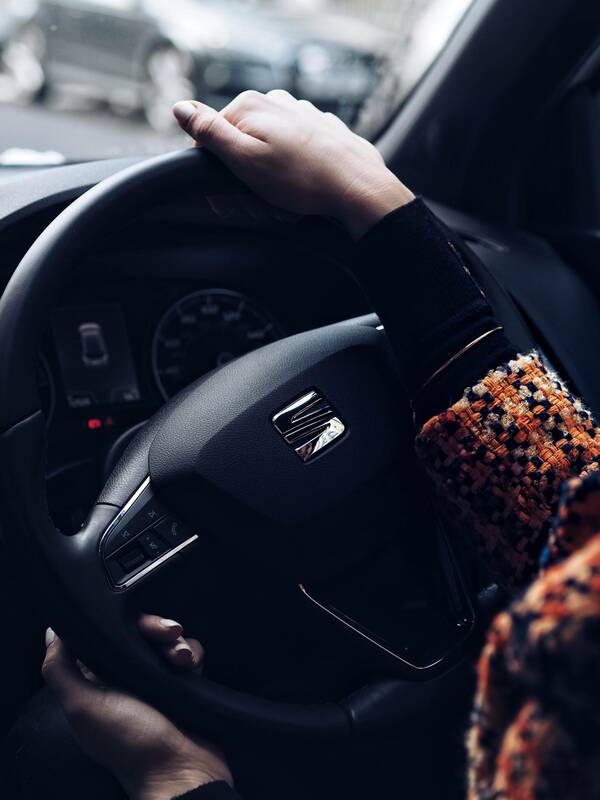 I even love chatting to you lot sat in my car on Instagram stories – it’s like my second home as tiny as it is (I currently have a small Hyundai i10). 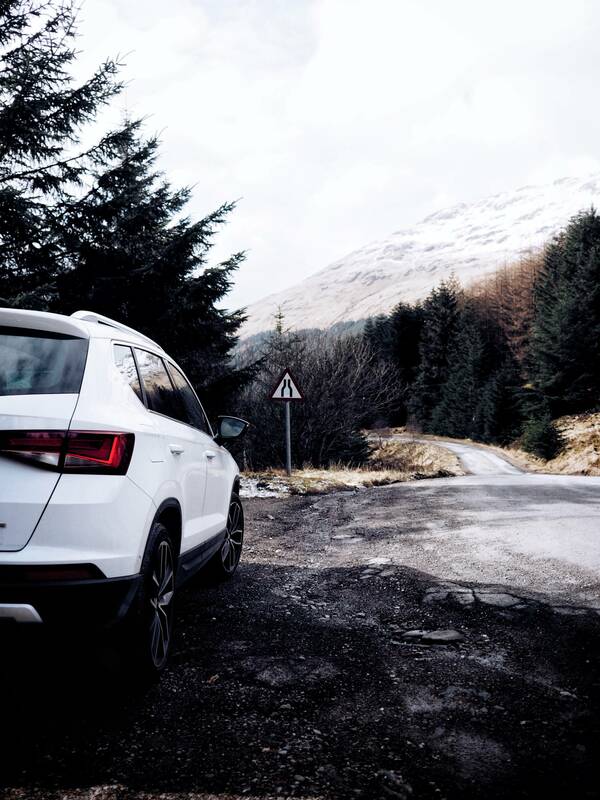 As a family, we also LOVE going for a long drive away from Glasgow at weekends usually ending up somewhere gorgeous near Loch Lomond. For that we use my other half’s Jeep because you guessed it, my little car is not powerful or big enough for those long trips with all of us including the dog. 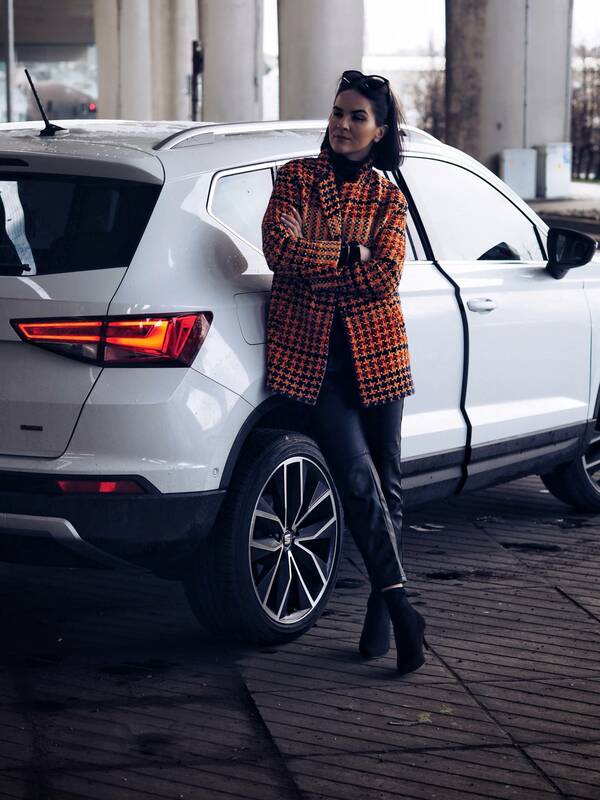 WHO IS SEAT ATECA FOR? 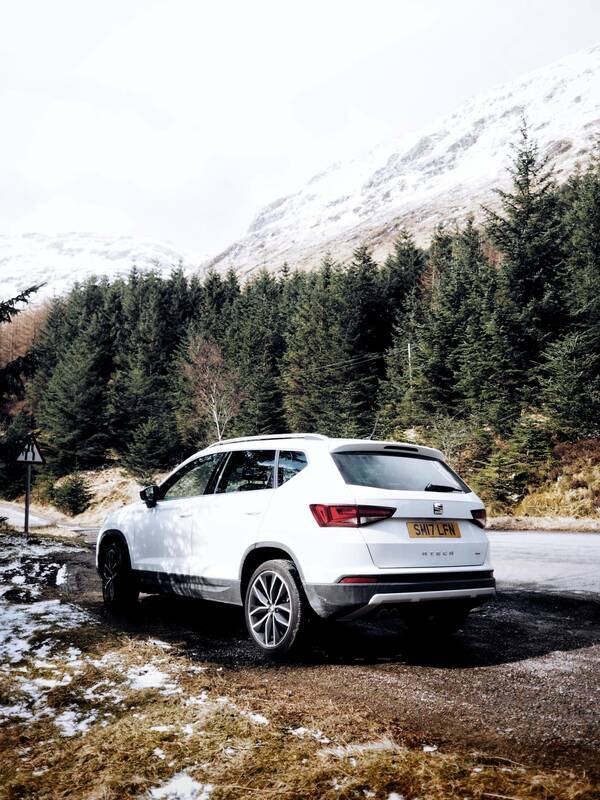 We picked up our SEAT Ateca at John Clark’s Stirling dealership and must admit, the drive there and back was pretty awesome too. Our plan was to take it for a spin in the city on Saturday and try it out on the motorway and country roads on Sunday. 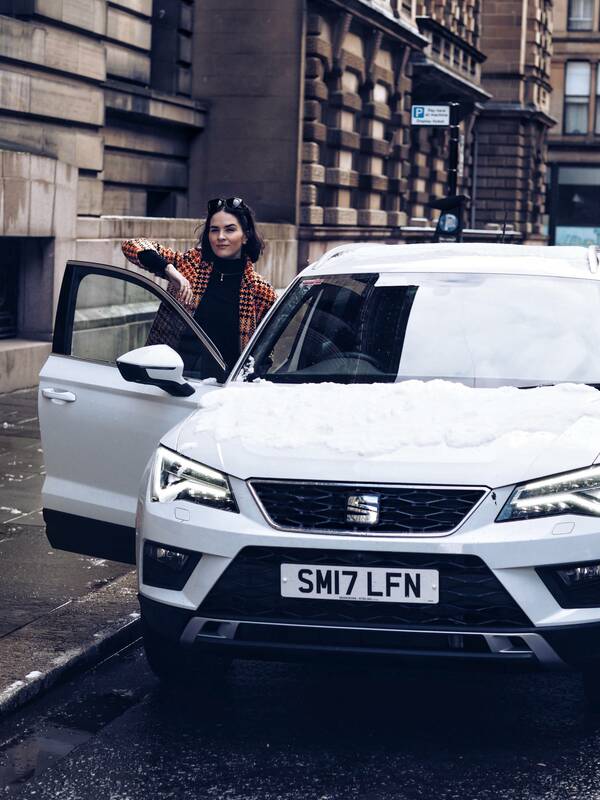 As someone who is used to driving a small car in the city I wanted to see how I would experience SEAT Ateca on busy narrow streets of Glasgow City Centre. It is an SUV at the end of the day, and a although it feels super light to drive, it’s still a “tad” bigger than my little car. 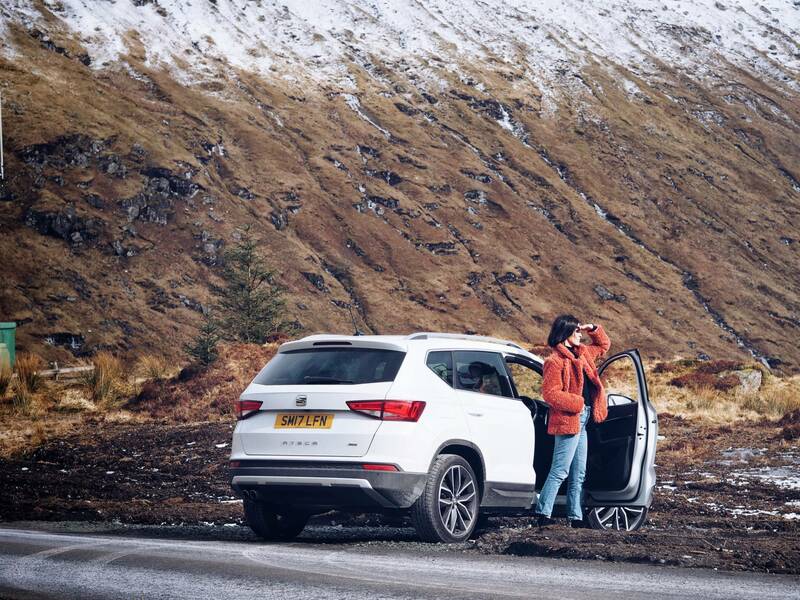 We also wanted to try out the “sport” function on our way to Loch Lomond on Sunday as this car is really designed to serve both – “the city girl / family” and the “nature lover” or “speed lover” shall I say? Shhh… Wink wink. * Keyless Entry & Go means I never had to take the car key out of the bag. I used my finger (I know) to open the car by pressing it down on the handle. I’m still amazed. * Top View Camera (like a drone) and Park Assist – still blows me away. 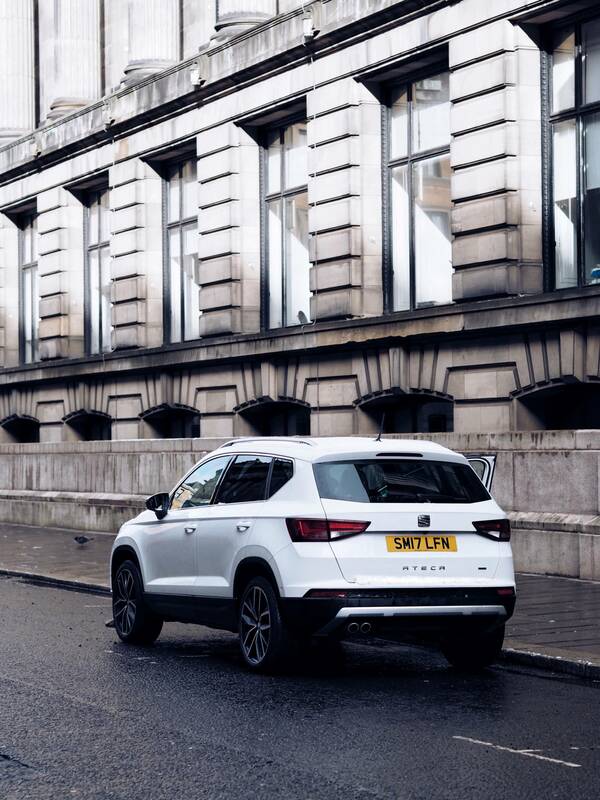 All you have to do is indicate what side of the street you’re parking and Ateca does the rest (and fast). I’m not too bad at parallel parking, but the precision is impeccable with Park Assist. 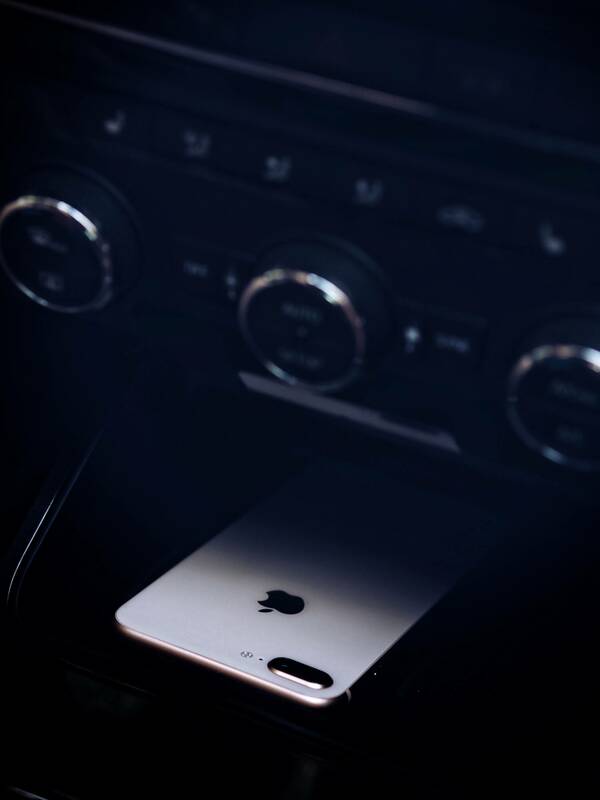 * Full Link / Street Smart means you can connect your phone to the audio system / dashboards and enjoy all the apps without ever looking down at your phone. Just leave it charging you know? 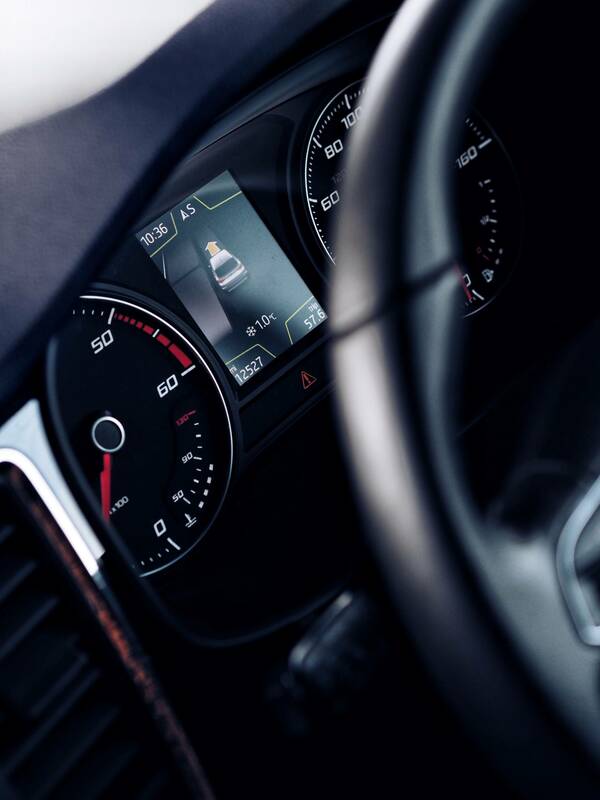 * Traffic Jam Assist – a sensor estimates the distance from other cars and controls the acceleration and deceleration whilst holding the vehicle in lane. * Blind Spot Detector – a warning led light on the driver’s side mirror come on to notify me of cars approaching that I can’t see. I think this is fab for driving at night. 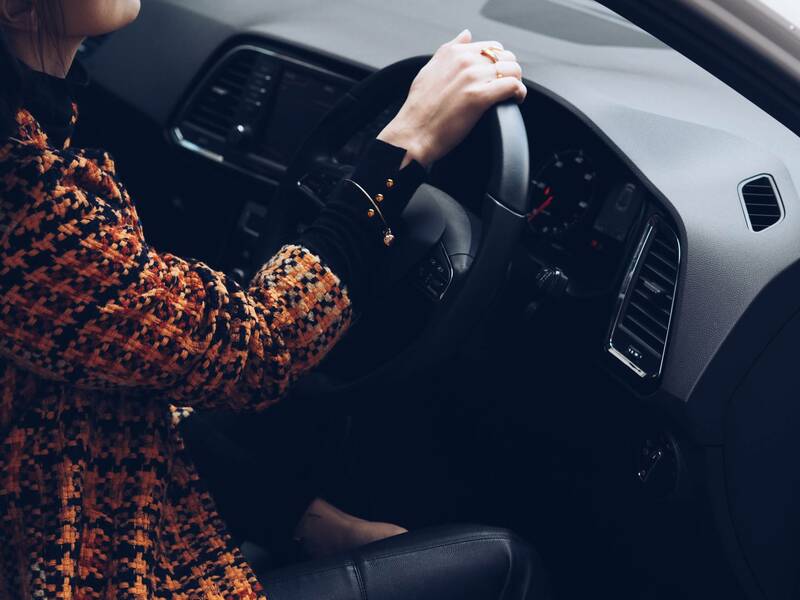 * Sport function / setting – we used it on the motorway and it was amazing. Although this car is built for everyday, the engine is so powerful and at the same time efficient. * Snow function / setting among many others like eco, normal, hills etc… As you can see it did snow last weekend (again) and we got to try out the “snow” function which would have been a life-saver during the “snow week” for many of us. * 4×4 – did I mention that this SEAT SUV is also a 4 wheel drive? It automatically detects when the 4 wheels need engaged and works in manual “off road” setting too. 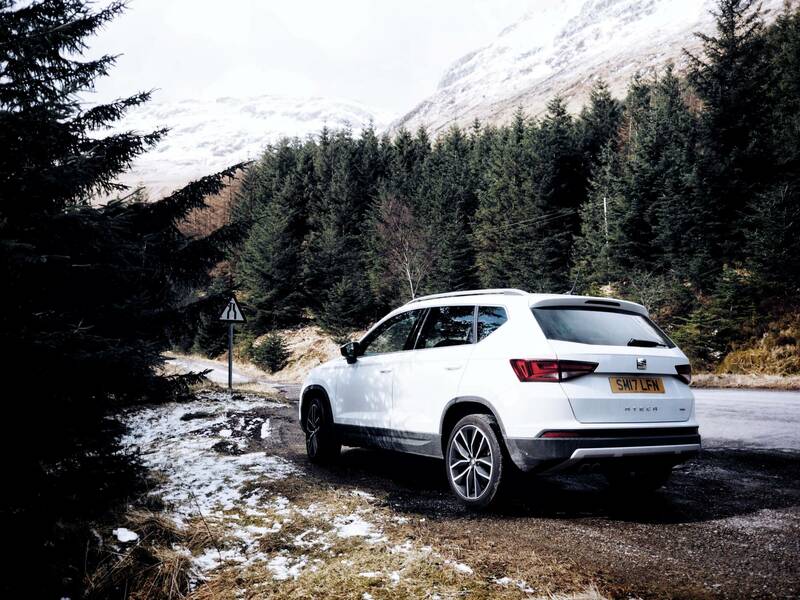 Again – ideal for snowy and bumpy side roads. * Sound System – the sound system is pretty awesome I must admit. Helps that it’s only my playlist that can be played as my phone was connected to the car, although Sasha did connect hers in the end too. * Build-in Navigator – everyone needs one and I sometimes argue with Google Maps Lady, so this was less stressful. 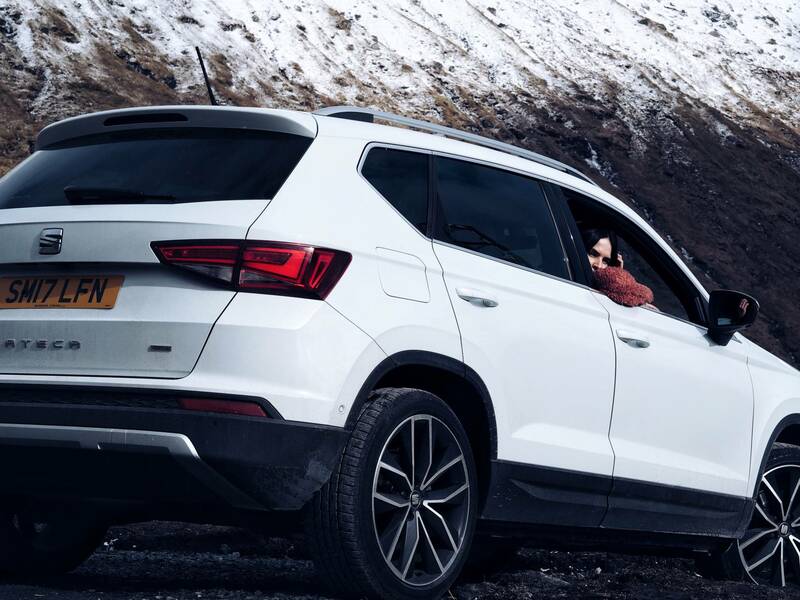 * Off-road Capabilities – Ateca can go uphill as high as 60 degrees and downhill as low as 70 degrees. You can set the the speed and the car will just keep going taking you up or down safely. Incredible. 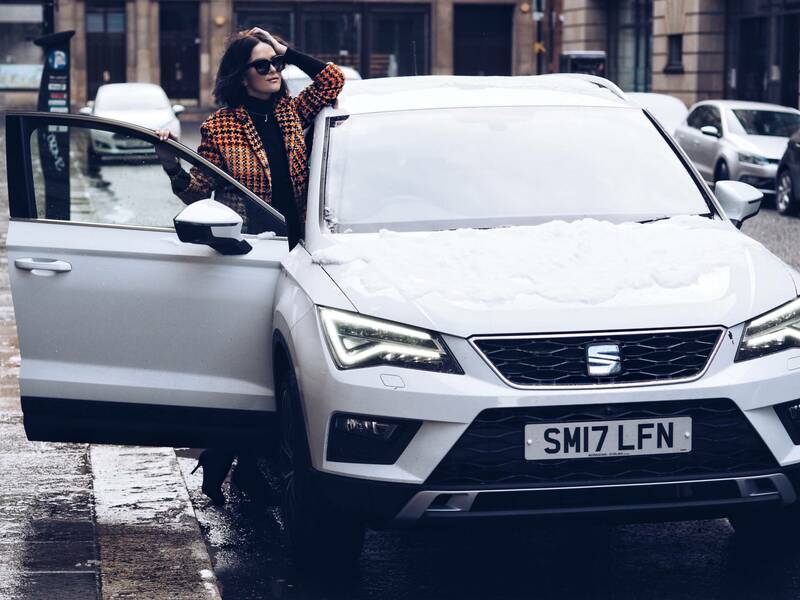 If you’re interested in SEAT Cars and love the sound of Seat Ateca SE, I’d try and get a test drive booked asap. Or pop by your nearest John Clark dealership – the guys are so friendly and enthusiastic you’ll have loads of fun. 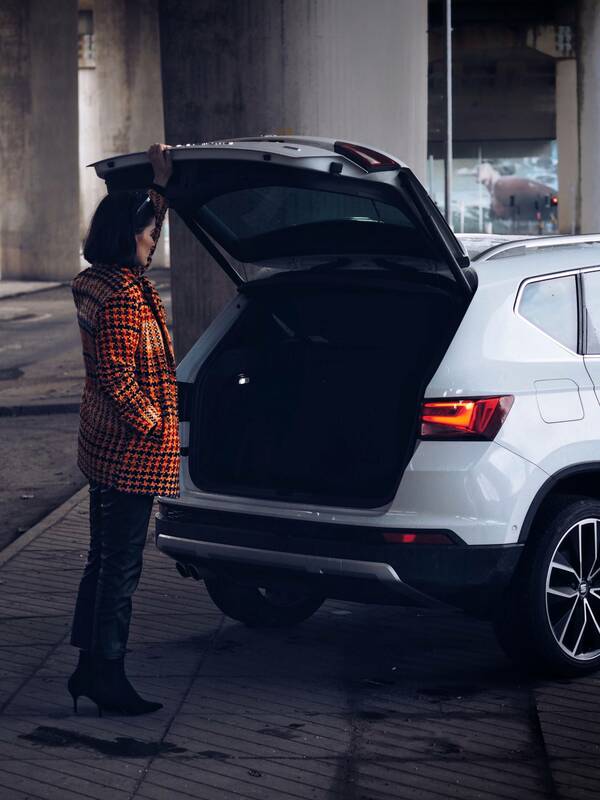 There’s more info on their website about their Seat Ateca New Car. Prices start from £17,990. Huge thanks to John Clark for sponsoring this post. Oh what a nice ride!! It looks super convenient too! It has all the bells and whistles and it seems safe! My type of car girl! And of course you look good driving it! This car is so cool! I love the sleek and clean exterior design and the beautiful and modern interior. There are so many great technological features that I think we can all appreciate. This car looks awesome! And you look awesome in it!! I would feel so safe driving a care like this, and the sleek design makes it even better! It looks so specious inside and that’s also really important to me. Thanks for the review! Beautiful car and color. Love all the interior, so modern and chic. You look amazing in it!!! For a first car review ever that was really well done! You captured the car beautifully and the photos are all stunning. Such a beautiful experience. 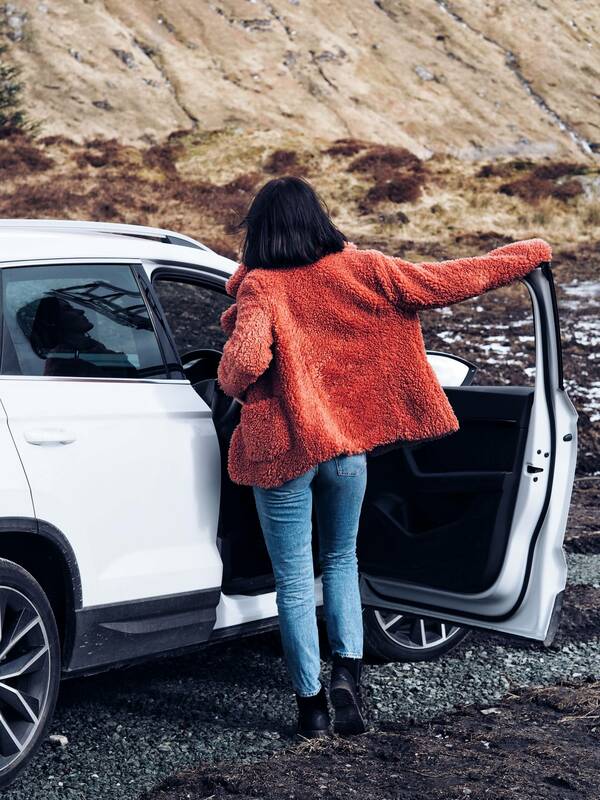 Nice how you can tested the Seat Ateca., so many options. Love everything. Love also the color and how 4×4 ideal for landscape. Great review and good starting price.